3 pages of letter combinations that little ones typically confused on. 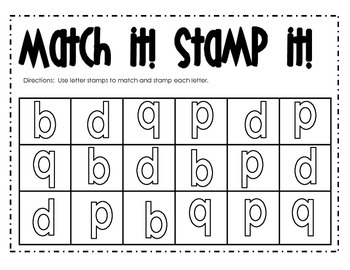 The idea is to identify the letter and stamp it with letter stamps that match it. Great for Word Work station or small group.